Mo writes in capital letters a LOT. If anyone follows our Twitter then they will know that we also have a particular penchant for writing in capital letters … for EMPHASIS. So, when we are VERY EXCITED we write in caps. With loads of exclamation marks!!!!!!!!!!!!!! Mo’s characters also throw themselves about very dramatically and do plenty of yelling. The Pigeon yells: “I ASK FOR THINGS ALL THE TIME!” and in the Elephant and Piggie book I am Invited to a Party they yell, “WE MUST BE READY!” Mo’s characters tend to bellow when they are at the point of “all-is-lost” or “this-is-so-great-I-can’t-control-myself”. These are both good times to holler and shout, we must agree. She goes scooty-scoot-scoot with her little webbed feet and she goes flippy-flip-flap with her tiny duckling wings. She is the adorable arch-nemesis of the Pigeon. Why? 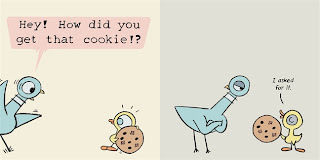 Well, the pigeon demands things ALL THE TIME but with her bright twinkling eyes and impeccable manners, Duckling simply asks for a cookie and … she gets it! This is enough to send the Pigeon right to the edge of rage! But as innocent as this little duckling looks, the last spread in The Duckling Gets a Cookie!? reveals a hint of a very shrewd manipulator who knows EXACTLY how to get what she wants. Respect. And do you know who is else is awesome? 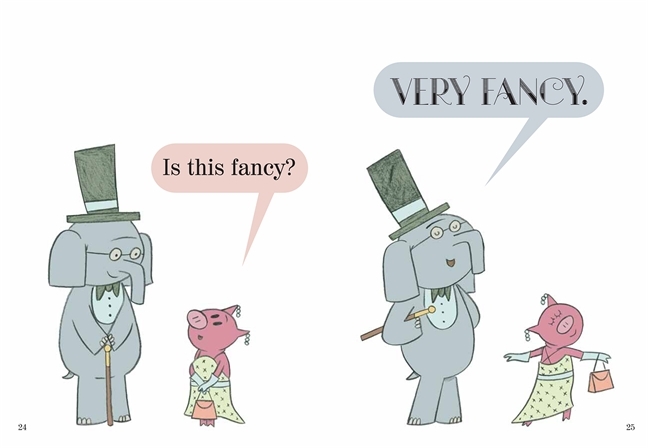 Mo Willems. True dat. 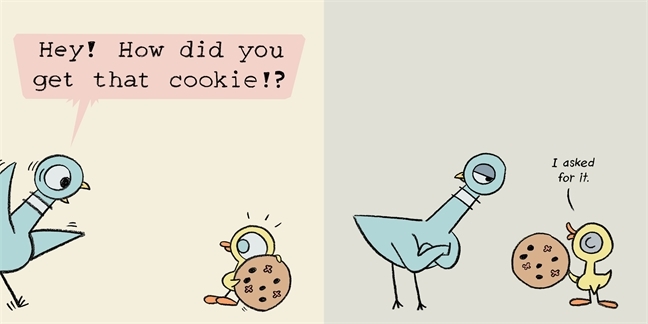 Get your hands on a copy of the brand new, hilarious Duckling Gets a Cookie!? by Mo Willems here. The Bookworm, Dubai and Abu Dhabi love Mo Willems. Keep 'em coming PLEASE!!!!!!!!!!!!!!!!!!! Win a Picture Book Picnic goody bag! Tasty activities for the weekend!